New Mexico’s largest city will be the next municipality where possession of small amounts of marijuana is no longer a crime. 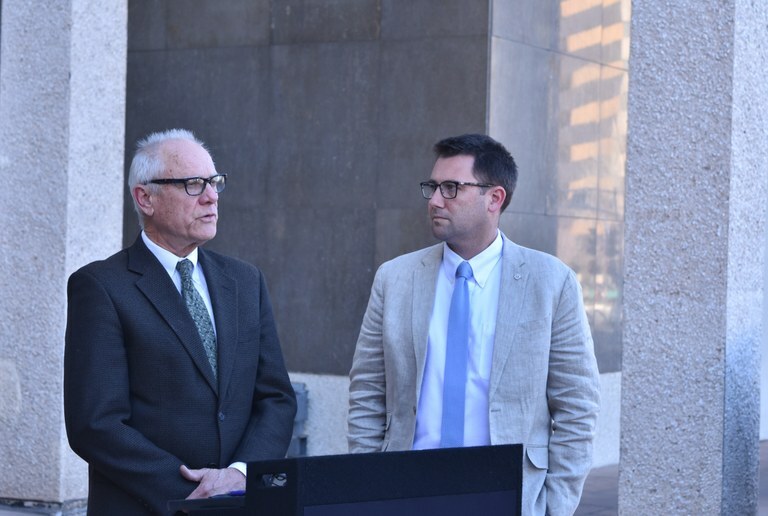 Legislation cosponsors Councilors Pat Davis and Isaac Benton, announced today that Mayor Keller has signed the legislation repealing the Albuquerque’s criminal marijuana ordinance and replacing it with a simple civil fine of just $25. “Decriminalized adult use of cannabis is common-sense public policy. Having tried once before to pass it, I appreciate Councilor Davis’ leadership and Mayor Keller’s support this time around,” said Albuquerque City Councilor Isaac Benton. Councilors Benton and Davis re-introduced the legislation earlier this year with support from the Drug Policy Alliance after previous legislation was vetoed by former Mayor Richard Berry in 2015. The signed legislation was delivered to the City Clerk today and will take effect next week in time for 4/20, the unofficial national day of action calling for responsible cannabis policies. Under City law, the ordinance would have taken effect later this month without the Mayor’s signature, unless the mayor chose to veto the bill. Keller’s signature allows it to be implemented before the expiration of the waiting period. Albuquerque will join at least 48 other cities, including Santa Fe, that have passed legislation to decriminalize marijuana. With this legislation, nearly one in three New Mexican‘s now live in a city where possession of marijuana is no longer a criminal offense locally. “I hope this move encourages other cities to follow our lead, and more importantly I hope it sends a message to legislators in Santa Fe and Washington that repealing criminal cannabis laws is good politics and good policy,” adds Councilor Pat Davis.